What to do about the suburbs? This will be the great urban development challenge in coming decades. As growth radiates out ever further from the central city, older suburban areas lose their allure. They are selling an obsolete version of the same basic auto-oriented development style as newer suburbs, but with higher taxes, more crime, and worse schools. This puts them in a strategic rough spot. Inner ring suburbs across America are starting to decay. The first sign of trouble seems to be decayed, abandoned strip malls and commercial buildings. One neighborhood group I spoke to was puzzled by this in their neighborhood because the demographics of the area were still strong, with a large percentage of college-degreed professionals. Yet, how long will it stay strong? Many of those well-maintained homes are occupied by long time residents, sometimes the original owners, and there is not a new generation waiting in the wings to move in. Retailers sense this and get out while the getting is good. What’s more, even today all too many of the boomburgs on the edge are failing to heed the lessons of the past. They are more or less building the same thing as before, only with today’s preferences in floor plans, aesthetics, etc. These new suburbs will have no more staying power than the old. Once they have filled their boundaries and stop growing, and there’s an even newer, shiner suburb on the edge, when those production homes start needing major renovations, when the commercial space is fully depreciated and obsolete, they too will come face to face with decay. We’re storing up an untold harvest of woe for future generations to deal with, just as we deal with the legacy of the decisions of the past. The switch from managing growth to operating what you’ve got is a tough transition. Just look at the many retailers who’ve fallen on hard times when they saturated their market and could no longer rely on new store openings to generate growth. So it is too with cities. Suburban revitalization will prove to be a much more challenging task than urban redevelopment. Urban living might always appeal to a minority, but because we are not building many new urban areas today, the only places people who want an urban lifestyle can turn to are our old core cities. By contrast, those who prefer suburban living always have a shiny new product on the edge they can turn to. So this gives us two great challenges: how to redevelop yesterday’s struggling suburbs and how to make sure that new suburbs are built on a more sustainable base. This neighborhood group I mentioned asked me if I knew of any other groups or places around the country that were in the same boat as them. I wasn’t aware of any off hand. While I certainly knew inner ring suburbs in various places were struggling, I didn’t know of any proven strategies, apart from the Carmel example locally, for revitalizing an area like theirs. I did extensive online research and came up more or less empty handed. The literature on this seemed fairly barren given the magnitude of the problem we’re facing. That’s why Retrofitting Suburba: Urban Design Solutions for Redesigning Suburbs by Ellen Dunham-Jones and June Williamson is so welcome. This is the first book I’ve come across that is specifically targeted at how to redevelop and reposition suburbs for the 21st century world. 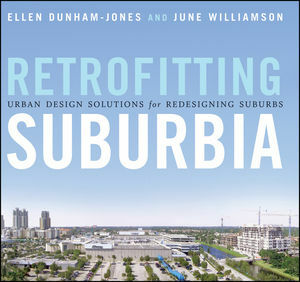 Retrofitting Suburbia takes a look at a cross-section of sub-urban forms, principally commercial, and shows how they can be redeveloped. This includes a mixture of both technique and case studies. I think the case studies are particularly relevant. Because the area of suburban redevelopment is so new, it is critical to get feedback from the real world about what is working and what is not. The book provides many examples to study, in areas ranging from enclosed malls to edge cities. The authors are pretty fair in showing both the good and the bad of these. What’s more the notes section provides a wealth of links and references for further reading. Dunham-Jones and Williamson did the research for us. We can now benefit from that. One thing I’d like to see is someone take this and turn it into an essential reading list. It is wonderful to have something that is dealing with the challenge at hand, and which can be used to educate and inspire. A few Midwest cities were used as examples in the book, including Carmel, which is great. The “Urban Design Solutions” portion of the title shows the thinking of the authors. In their view, suburbia as a design form is flawed in its concept. The solution is not to build better suburbs, but rather to figure out how to make our suburbs more urban. In effect, it is a new urbanist tract. They contrast the signature attributes of urban vs. suburban development (single use vs. multi-use, auto-dependent vs. multi-modal, low density vs. high density, etc.) and basically show projects that all are designed to turn the dials in a more urban way. This is certainly one valid approach and it appears to be popular. In fact, it seems to be the orthodox strategy of the moment. It also appears to be working in some places. However, I think we need to be cautious about promoting one-size-fits-all solutions, as well as rejecting the development patterns of suburbia. As I noted in my recent posting about mid-century modern architecture, we did this once before. The previous generation decided that it was the traditional urban form that was obsolete and “unsustainable”. Their solution was to obliterate that form and replace it with something that they saw as self-evidently better: ie., urban renewal. I think the history of failed conventional wisdom planning solutions should inspire in us a dose of humility. While I’m all for trying out the idea of urbanizing our suburbs, we have to be sure we cast a wide net, try a lots of different things, be ready to abandon our theories when they don’t work in practice, and avoid collapsing to a single “school solution” that is promoted to the exclusion of all others. It is also clear that Dunham-Jones and Williamson mean something different by sustainability than I do. One thing that has always irked me is how ordinary English words get co-opted as terms of art with a political agenda embedded them. (e.g., “organic” food – as opposed to what, inorganic?). Sustainability is one of those words, though that’s clearly not the author’s fault. The dictionary definition of sustainability is “of, relating to, or being a method of harvesting or using a resource so that the resource is not depleted or permanently damaged”. But sustainability as a term of art today refers to a preferred lifestyle and policy set including pedestrian, bike, and transit oriented design; green design, local agriculture, etc. Clearly, this is the definition that Dunham-Jones and Williamson have in mind. As with all definitions, its truth is assumed rather than proven. They take it as a self-evident that these things are what one should strive for. I’m not going to say those are bad goals or wrong goals by any means. But they miss what I consider the fundamental problem of true suburban sustainability in the long term. That is, how do we keep a suburban town relevant, and economically and demographically successful over the long term? How do we keep suburbs from falling into physical and economic decay, and having them be abandoned by the middle classes? There is a powerful assumption embedded in the book that by changing the development form of the suburb, it is put onto a sustainable base. That could be true, but I’m not sure it is. The strategic dilemma I outlined at the top. When there is always a shinier, newer version of the ‘burbs to be had, the clock starts ticking on your town the minute the ribbon is cut at the grand opening. The problem of overdetermined form. That is, the buildings of the suburbs, unlike those of the old city, are built with such a rigid “form follows function” design paradigm that they are difficult and expensive to retrofit for other uses. This isn’t only a problem for the suburbs, but it’s a bigger problem there. The accumulation of unfunded liabilities. Enormous infrastructure and redevelopment costs, the legacy costs of our traditional cities for example, are created whenever you build a new town, but those liabilities are not funded. What’s more, the liabilities attach to the land, not the people, so when the bill comes due, people can just move out, leaving behind an impoverished, decaying husk. It’s like being able to run up a huge credit card bill in somebody else’s name, then skip town. The fact that the vast bulk of suburbs are shadow cities. Many of them take steps to explicitly keep out the types of people and businesses that would produce the economic conditions necessary to be a true city. This renders them highly vulnerable to obsolescence. Except possibly for point #2, few of the case studies or ideas in the book address these fundamental problems. Absent that, I don’t see them creating truly sustainable suburbs, though they might revitalize a community for a period of time and/or accrue advantages to early adopters. This is probably an unfair criticism, since the authors are architects presenting architectural techniques of redevelopment. I don’t think they’d claim to be solving all the suburbs’ problems. But I want to point out that a more holisitc strategy is required to get our suburbs on a sustainable base. The architecture and planning driven solutions of Retrofitting Suburbia are only a piece of the puzzle. The majority of the case studies in the book involve converting commercial sites into mixed use “town center” type developments. I like town centers. But when these new town centers are themselves 20 years old, and every suburb has multiple of them, many of which are newer and represent the next generation of design and taste, what then? My money says we’ll be right back where we started. I could write a book on my suggestions for addressing these problems (if someone wanted to pay me to do so that is), but I’d like to keep the focus on this book, so I won’t share my thoughts on them today. But let’s just say that while the new urbanism solution presented here is a good start, it’s not enough. We’ve got to dig deeper and think harder about the true root of the problem. Also, I am a bit skeptical of the idea that the suburban form is fundamentally broken. I live in the city. I love cities, obviously. I like to walk to places, take the bus, etc. I like urban grit and urban discovery. Traditional sprawl suburbs with winding roads and cul-de-sacs full of semi-identical houses are close to my personal definition of hell. But that’s the key: it’s my personal definition. Other people have different tastes and desires. Clearly, many people have decided that they love living in the suburbs. There’s clearly something to it that continues to draw people out there. It is incredibly difficult to separate our personal preferences from what ought to be. And when someone comes along and says that our choices are not just great for us, but represent the greater good, and that other people’s choices aren’t just different but are actively destroying the planet, it is tempting to buy into it. After all, we typically think pretty highly of our own points of view. I think we need to take care to truly be open minded, to truly value diversity, and to figure out how to rise above our own personal desires to see other people’s choices as being as valid as our own and not evil or resulting from malicious, manipulative forces. Does the suburban form have its problems? Of course. Everything has problems. But the key is do you try to fix the problems or reject the suburbs altogether? Again, previous generations made the choice to reject the urban form, and wrought horrific damage on our cities. Are we that much wiser that they? I don’t think we can categorically make that claim. As I noted in my mid-century posting, it’s difficult for most us to imagine much of this architecture as inherently valuable. Now mid-century is actually in a good position because it has long had a core of passionate supporters. But where the passionate supporter of the regional mall? Even I have difficulty finding redeeming value in strip centers and such. But there aren’t that many enclosed malls in America. It’s not hard to imagine a day when all of them have been redeveloped and radically changed if not outright destroyed. While we may not mourn them today, this would represent a loss of our heritage. How can we preserve the best parts of our suburban history while updating as well? It’s a challenge. When your town is falling into blight, saving some old, rundown buildings that are functionally obsolete is not at the top of anyone’s list. And that’s exactly how vast swaths of our 19th century buildings got whacked. Retrofiting Suburbia treats destructive redevelopment as good, without significant concern for what is being lost. Now it could be that we’ll never be sorry we lost the mall. After all, we don’t wax nostalgic about the days when soot blackened the skies and front porch swings of our cities. But I think it is a question worth pondering. Now the nice thing about most of the projects in this book are that they are reaonsably small scale. This makes them useful experiments and they don’t involve wholesale destruction of the existing suburban fabric. A few things I really found useful in reading them was how the authors provided the development history of the towns and the sites for context, insights into not just the results but the process for getting there and the hurdles encountered, and focused on the context of the development, such as how it connected and related to its surroundings. In this regard, it is a useful record of redevelopment experiments. While I would not try to treat this as a “cook book” – in fact, I’d be strongly opposed to that – there are a lot of lessons learned to draw from. Its primary focus is commercial spaces. Subdivisions themselves and how to recreate them are given less attention. This is another hard and difficult topic. One place the Dunham-Jones and Williamson did cover was the famous Levittown, New York. They noted that thousands of identical homes had been built originally, but almost none remained in their original state. Where there was once monotony, there was now variety as people renovated their homes and personalized them in different styles. This really highlighted to me the huge weapon that older suburbs have in their arsenal over the long haul versus new ones: their lack of restrictive covenants and totalitarian homeowners associations. New suburbs are built to almost literally be frozen in amber. Homeowners are legally restricted from making any significant alteration to their houses. Talk about overdetermined form. Older suburbs don’t have this, which makes them much more adaptable to the future. The problem with restrictive covenants will likely rear its head down the road as newer suburbs age. I believe they will prove such an impediment to redevelopment that states will likely declare them illegal, much like the old “whites only” deed restrictions. While Retrofitting Suburbia is a bit of a new urbanist evangelistic tract, it’s also highly useful practically. If you don’t agree with the agenda of the authors, you can safely ignore it. If you do agree, you’ll like it even more. Given the wealth of case studies and reference materials, I think this a book that deserves to be on the shelf of leaders in all suburbs in need of redevelopment. Anyone looking at how to redevelop a suburban commercial site should study it. Again, lots of examples, lots of case studies. While I like the book, I should warn you it is a bit pricey and also dry and academic. It’s accessible to the layman for sure, but is not written for a popular audience. Despite its limits, Retrofitting Suburbia is definitely on my recommended list. Wow – had no idea Hudnut wrote a book on the topic. Thanks for the link. The Michigan Suburbs Alliance is a coalition made of up of inner-ring suburbs that surround Detroit. Some have done a pretty good job with redevelopment (Ferndale being one example) or at least holding their own (Hamtramck as compared to its neighbor Highland Park). Might provide some additional insight on what works. Anon, thanks for the pointer. I’ll check it out. One other thing to consider. There is probably a difference between the older “urbanesque” suburbs that surround America’s largest big cities like Chicago, New York, Detroit, etc. and the more “full metal burbs” further out in those cities or surrounding smaller ones. One idea that has merit is tax base sharing. It’s been used in the Minneapolis/St. Paul area and seems to have helped stabilize older suburbs and the core cities without slowing down the growth centers in the suburbs. In Minnesota, they recognized, correctly I believe, that there’s a limit to what an older suburb can do by itself. They also recognized that allowing those areas to decline has a negative drag on the area as a whole. Unlike consolidation, it allows political units to maintain their identity, which may make it more palatable that the alternatives. I agree, Urbanophile: today most folks would typically consider 1900-1920’s “streetcar suburbs” to be an urban form. Even if a house in such a place sits on a quarter-acre lot, in Indianapolis that lot will uniformly be 40 feet wide and the neighboring homes will be not much further than a driveway’s width apart. The difference is between near-downtown neighborhoods’ 80-100 foot lot depth (and increased predominance of doubles) and the northside streetcar suburbs’ lot depths of 125-250 feet. Those original suburbs mostly had alleys and rear garages…another urban form. And, of course, while the streetcar suburbs lack heavy industry, there are still plenty of commercial/retail and light-industrial (i.e. machine shop, fabricator/converter, workshop, warehouse) nodees sprinkled into the north side, especially along the old streetcar lines and the old Monon and NKP lines. To make a long story even longer: it is not useful to separate those early 20th century suburbs from the late 19th century city-proper. The real break comes from the beginnings of the suburban half-acre lot with broad setbacks and (especially) driveways and garages fronting the street. The unique feature of Unigov is that the first-ring suburbs, the seven and a half outlying townships (big chunks of Washington and Wayne were already City in 1970) are part of today’s city, unlike many of those other cities you mention. And they aren’t even fully built out yet. IOW: we already have “tax base sharing” with the first-ring suburbs. I imagine the book referenced Duany Plater-Zyber a lot because that firm is connected with the Congress for New Urbanism. I believe they did Seaside which is an often cited New Urbanism project. For the life of me I can not understand why Indy isn’t going for light rail money in the package in Washington. We could and should build and inner suburban light rail ring in this city. I have not read this book, and currently don’t have the cash laying around to buy it. But I have to say that in this post you show a lot of what I enjoy about this blog. When academic schools of thought come to the forefront in the past century or more, we have had a serious problem. The people who leave academia enthralled with (or maybe even indoctrinated with) said school of thought, many enter the political arena. Current political economy being what it is and has been since roughly the first World War, these people have been able to enact laws and policies that favor the outcomes they desire. That is why I believe that in terms of development and local public goods, we have transitioned into a soft command economy. Towns and Cities that matured in the 1800’s or before that often had much the same sort of built environment – most of that we would refer to as urban. This is a time when turnpike companies built inter-city and inter-state roads and local streets were built and maintained by the neighborhoods in which they existed. High quality transportation amenities greatly enhanced the value of property, and where such amenities were of a low quality, businesses and residents had incentives to live in a closer proximity to each other. In short, people’s abstract “ideal” preferences for their city was held greatly in check by the realities of economics and common sense. A number of changes in the political landscape caused a large shift here. As you have stated many times, it was through the “vision” of politicians to bring their idealized forms to reality. Eisenhower wanted interstates bridging all major cities, Roosevelt wanted local governments to be able to plan communities from the top down. Later Presidents wanted to be able “re-develop” large swaths of towns and cities – and to provide transportation infrastructure at little to no direct cost to transportation users. After World War II, VA and FHA loans favored the type of development that the politicians of the moment saw as their “ideal” – the single family detached home. The large amount of homes bought with these loans by soldiers, sailors, airmen, and Marines after the war caused a landslide of tract home subdivisions. Of course, many say that technology changed the game. But remember this, once politicians had the ability and authority to build roads, industries that benefited from road building and “free” infrastructure prospered. Do you think if not for zoning ordinances(large lot size, deep setbacks, commercial/residential seperation), IHS, Urban Renewal, FHA, VA, and a myriad of other governmental programs that the built environment of today would not much more mirror that of the cities of the 1800’s? Do you think this would really be the “nation of the automobile”? Maybe, maybe not. What is troubling to me is that we seem to want to go down a similar path to revert to an urban pattern of development. This is not just or fair. If there is someone who wants to live on a 1 acre lot should be able to – but he should bear the costs for infrastructure directly. 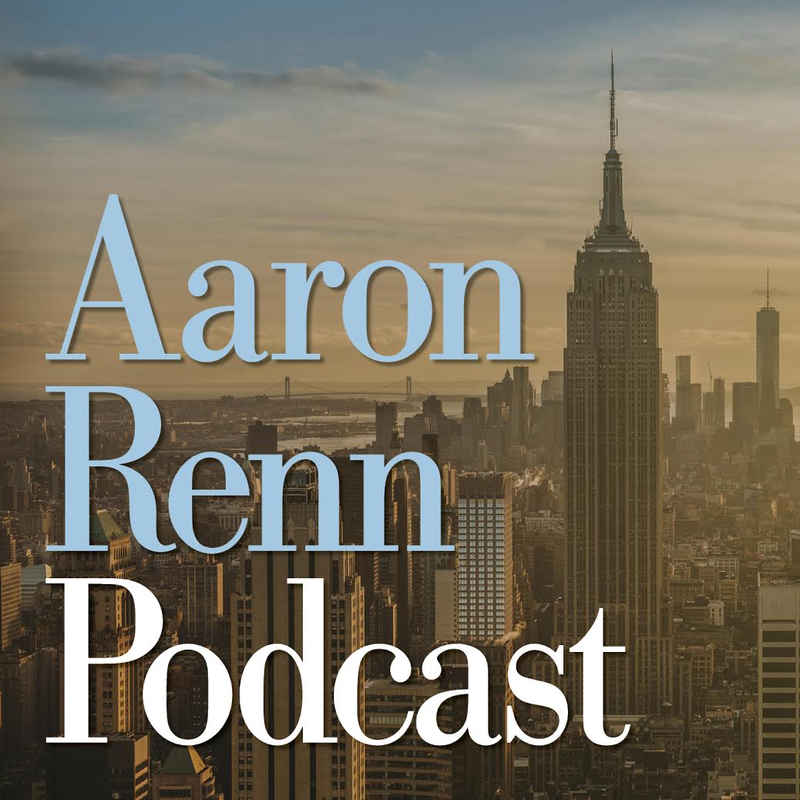 By breaking down governmental policies that subsidize any particular development pattern, the pattern that makes the most sense for the actual residents of the city would prevail. And it would be fluid – though not painless – unlike the current glacial change we see today. Many here will have contentions with this – but the free market(properly understood and implemented) is the best solution – for the long and short term – to our current woes in suburbia. – Turning zoning power over to local NAs with more direct and accountable leadership, not to mention the ability to “sell” zoning variances that are in the best interest of the neighborhood. Also, allowing local public goods to be controlled by these NAs. – Turning the IHS over to the states for them to lease to private operators that would either charge tolls or use some other fare mechanism to have cost born directly by IHS users. The gas tax could be repealed, favoring those who choose to drive on locally maintained roads and therefore those who chose to live in more dense neighborhoods. – Removing restrictions on VA and FHA loans that give unfair disadvantages to ownership of condos and co-operative property – or do away with the loan guarantees period. – Allow utilities to adjust their charges to customers that choose to live in lower density, lower ROI areas. – End the tax preferences for freehold property, and allow leasehold properties to compete on a level playing field. Not all of these are bulletproof, and many might take exception to some of them. But I could guarantee that once the costs are born and the decisions are made locally – or individually – you would see that the real preference for most people would be an urban lifestyle. And we would also see areas come to life as people with similar aesthetic preferences would come together into communities and we would see truly diverse neighborhoods and an increased sense of neighborhood and civic pride. I think people put priorities on their own homes and not on their communities. Perhaps this is half of the problem with the self-feeding suburbia expansion. Most people move to suburbs (from my observation) for family reasons. More room for kids and “better” schools. Older suburbs from the 1950-1980 times had smaller home sizes in general so they had to find bigger ones farther away, while the automobile allowed them to “make the sacrifice” and move farther away from work or whatever. In the process, American consumerism has spent decades stuffing homes full of “things”. If you simply consider the number of television channels and video games available to us, it’s pretty easy to construct a lifestyle where you don’t leave the house (or even enjoy your own backyard). I just think that overall we keep worrying about how much space we have in our living area in lieu of seeing the community as an extension of our “home”. We look for a bigger yard rather than considering the park. So we then have to spend our own money to fill said yard with toys for our kids rather than using everyone’s money (read: taxes) to buy those things. I’m not advocating for more taxes necessarily, but 5 basketball courts for a whole neighborhood probably cost less per person than building one in your own yard. So as the community stops “wanting” parks, etc. those that can’t afford to fill their own homes with such things end up losing the most. So perhaps while there are changes to be made in government policy, architecture, etc. the most critical thing might be a culture change. Perhaps the recession will help, but I’m not so certain. As long as we continue to want X, our development patterns will (in general) serve X. Speed, there’s a libertarian manifesto that might attract some interest from progressives. anon 8:39, here is the crucial point. Things like the size of houses, whether to use a community basketball court or your own, etc. are matters of fashion and taste. They’re like hemlines. Once, small was good. Then, as you note, bigger was better. Now the pendulum might be swinging. I’ve seen some analysis that claims we have something like a 40 year supply of large lot homes already in existence. Yikes! I won’t profess to predict the future. I will guess this though. I build a home today. Whatever they are building in 25-30 years, it will probably be different than what they are building today because the world will have changed, technology will have changed, and tastes would have changed. Now I have a town full of 25-30 year old buildings in need of upgrades, repairs, etc that are also not in the current fashion. That’s the strategic dilemma. How do you avoid that obsolescence? The revitalization happened in urban neighborhoods because of decades of public policy to save our central cities, and because there was a return to favor of the urban form which was illegal in the burbs and the only supply was in the cities. Will these dynamics play out to save older suburbs? Clearly in the case of old commuter burbs like Elmhurst, Illinois, the answer has been Yes – but these were urban to being with in their built form. I’m still looking for the example of the true suburban form that got saved. Stay tuned. This will play out over the coming years. Sorry for the off-topic comment, but do you know anything about this? There’s a sign in the window for it, but it isn’t open as far as I can tell. Interesting post. I understand why you would conjecture that the winding-street cul-de-sac suburb may have its own virtues that call upon us to revive it on its own terms. And if you just look at the question from an urban-design standpoint, that position seems to reflect an openness to diversity of lifestyle that is supposed to be the hallmark of our postmodern age. But the cul-de-sac suburb has a very specific failing: It is predicated on the permanent cheapness of transportation. This cheapness now appears to be a passing illusion of the late 20th century. To suppose a moral equivalence between urban and suburban forms, and to imagine that the difference between them is purely aesthetic or a matter of taste, ignores the fact that the cul-de-sac suburb as a mass market product has a very short history, while urbanism has a very long one. Urbanism has proven its resilience over a huge range of cultures and economic circumstances, because it has grown out of a respect for the costs of transportation. These costs can be externalized for a few delirious decades as in the recent past, but always get paid sooner or later. The opposite was recently argued by Robert Brugmann’s book Sprawl, which makes the obvious point that the desires underlying cul-de-sac suburbia, such desires for a feeling of spaciousness, are quite old. He seems to want this fact to constitute a defense of mass-market suburbia today. But of course, pre-auto suburbanism (Versailles is one of his examples) was possible only as a privilege of an elite. The fact that we’ve always had these desires for spacious living doesn’t address the real argument against suburbia, which is that it lacks the resilience to cope with changes in transportation costs, and often needs to impose those costs on others. I think the more interesting question is how we will make the city of the future deliver the things that we once thought we needed suburbia to provide. Jarrett, the winding cul-de-sac suburbs (at least in the midwestern US) are all connected by the mile-grid county roads of yesteryear. Therein lies their salvation, through a route to cheap transit. Mass transit can serve those places efficiently IF people are willing to walk a half-mile or so to transit…which might be the tradeoff inherent in the 20th-century suburban form going forward. The “wide-open spaces” of the suburban developments can easily be retrofitted with walking-path easements (perhaps below or above infrastructure easements for power, sewer, or drainage, or along lot lines) that approximate a half-mile grid, or even a quarter-mile grid, through developments and between the mile-grid arterials where buslines would run. Voila: cheap transit for the 21st Century suburb, and functionally it’s the same as a quasi-urban “streetcar suburb” or outlying urban neighborhood. This is why I truely believe that “Urban Growth Boundaries” are a must in today’s major urban areas. For one, it lowers cost associated with urban/su8burban expansion. Secondly, it helps to stablize neighborhoods and help curb home abandoment. Thirdly, it keeps services close to the people that they serve and makes public transportation a true, viable option. CoryW, the big problem with urban growth boundaries is: by artificially inflating land value on the “inside”, it pretty much eliminates affordable housing anywhere near the core except with massive subsidy. Portland is the “best” example of artificial boundaries; San Francisco and Manhattan are “natural” examples. Why would we want to do that here? Zionsville used to have a “slow growth” model, with strict controls on building permits. Same effect: where are the $70-120K (below regional median price)places in Z’ville? Answer: Whitestown & Lebanon. It just pushed the lower-end development further out, past their planning boundaries. I’ve never bought this argument against urban growth boundaries. First, there’s plenty of places where you could put a UGB in place and it would have little or no effect on housing prices. Second, even in the absence of a UGB, allowing unlimited growth does little to mitigate housing prices if a location is a popular or desirable enough place to live. In an Ann Arbor or a Carmel, developers aren’t going to be low-end housing if the market supports much higher housing prices. Ann Arbor had this debate around their Greenbelt proposal. Opponents argued against protecting agricultural land around the city because it would limit the amount of developable land. But housing prices were already high in the city before any limitations on development were put in place. This bring us to the third point which is “what’s the alternative?” If you allow unlimited growth, you may succeed in keeping housing prices low but at the expense of all of the qualities that made the community a desirable place to come to in the first place. A UGB allows a community to control its rate of growth and ensure that the growth is sustainable. There may be some middle road that works better but I’ve yet to hear it articulated by opponents of UGBs. Sorry, that should be “In an Ann Arbor or a Carmel, developers aren’t going to ‘build’ low-end housing if the market supports much higher housing prices. And there’s your answer: the better tool is “the market”. Not a great or elegant solution, but every other one in the last century has been worse. To me this is something that our leaders really need to educate the people on so that they can begin to understand why property taxes and the costs associated with development are so high. Especially here in C. Indiana where we have no natural boundaries. Additionally, MiBOR and other similar groups really need to get their acts together and push for some housing diversity. This may actually be the biggest problem facing C. Indiana in terms of home prices. The problem is that there’s no such thing as “the market”. If there was, the real costs of sprawl would be born by those driving it. But because “the market” is distorted by factors such as zoning and infrastructure, the argument that we have to rely on “the market” rings hollow. Until the underlying rules get changed, we have to deal with the reality we have, not the one we want. Me thinks you are thinking to hard and reading way to0 much into the “CincinnatiUSA” issue. Cincinnati already has an strong (good or bad) national identity. Clearly the market exists. People buy and sell real estate every day. Clearly the market’s collective decisions dismay you. Equally clearly to me, the market has been distorted by decades (three generations) of federal government policies…the structural economic (long-term) implications of which are just now being fully felt. Clearly you haven’t thought about the personal tradeoffs people individually decide to make to live in the suburbs as “costs”. People do internalize a fair number of costs, not the least of which is time which is spent commuting and driving to daily errands instead of in their homes or with their families. Other significant costs revolve around capital and operating costs for automobiles and for large suburban properties. Finally, sedentary lifestyles produce costs for exercise clubs and/or health effects. In some places there are impact fees for infrastructure built into the initial purchase price. Please do not imagine that I am defending the suburban lifestyle. I am merely explaining my economic understanding of it, It is one which I understand firsthand through my childhood, three siblings, and some friends who currently live in the ‘burbs. It is one which I have personally rejected: I live in Center Township, Indianapolis. But I do not assert that everyone else should make the same choice as me. The very foundation of our nation rests upon everyone’s free choice to live as they are able, relatively undisturbed. Nor do I. But it doesn’t change the facts that decisions that have been made over the years by all levels of government and the private sector (redlining, restrictive deeds, etc.) 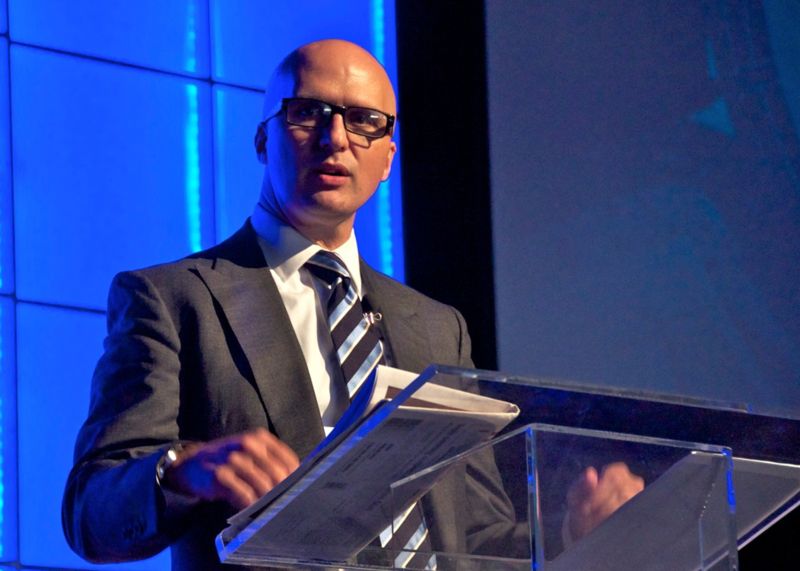 have as much or more of a role in creating the built environment that we have today. To claim that only “the market” can solve the ills of that environment seems to show a willingness to turn a blind eye to those influences. Ah…I didn’t claim that “only the market” can fix things. I claim only that new regulations (intended to “fix” things or “guide” people to public policy objectives) distort the market more, and often move “undesirable” activity beyond the planning horizon: the law of unintended consequences. “Wise” policymakers are seldom wise enough. As long as covert subsidies make edge cities inordinately profitable, then no Urban Growth Boundary, or other restriction will be adequate to confine suburban growth. As long as land speculators can purchase agricultural land for a few thousand dollars an acre, then resell it at the rezoned-for-development price of a few *hundred* thousand an acre, the profits will trump anything resembling good sense. With this kind of subsidy, no ground is safe from development, not even if builders have to suspend the homes from helicopters. Incidentally, notice that this 10,000% profit is virtually untaxed. If the speculator 1031 exchanges out of the newly created development land, even income tax is deferred indefinitely. Notice also that this outrageous profit is neither “taxes” nor “spending” but is a government favor that is clearly a gigantic subsidy. See David Cay Johnston’s “Free Lunch: How the Wealthiest Americans Enrich Themselves at Government Expense (and Stick You with the Bill)” for a catalog of other such scams. Our dearly departed president Bush owes 3/4 of his net worth to such a scam. The Germans have a very simple, sensible policy that keeps the magic of the market, but removes the subsidy from edge cities: A German developer must sell his agricultural land to the local government at the agricultural land price, then re-purchase it at the development land price. The “unearned increment” stays in the hands of that local government. In the U.S. such local governments are scrambling to find money, cutting programs right and left. In Germany, the arts budget for the City of Berlin exceeds the entire U.S.’s National Endowment for the Arts. So don’t kid yourself that there’s no money for good government or collective action. The oligarchs who do this kind of speculation and government favor getting have plenty. It’s called “privatizing” the public realm. Interesting fact: for the last 30 years, the bottom 90% of the population have experienced a 7% decline in real wages, despite increases in productivity that should have made real wage growth possible. During this period, the top 0.01% of income earners got a 497% increase. As for whether the “free market” choses sprawl… Again, baloney! Yes, there are people who want to live in sprawl, but there are still plenty who want New Urbanism. The average premium paid for NU developments is around 40%, with established NU communities — e.g., Duany’s Seaside Florida — commanding much higher premiums. Interior lots sell for as much as six times the neighboring sprawl. So should sprawl still continue to be built 1500 times more than NU (according to an NU survey a few years ago)? Not unless inertia, or less-than-optimum public policy that subsidizes suburbs is what prevails. Even Houston — a town without the “top down” planning that is such anathema to our libertarian friends — manages to be sprawl because a) road design, b) minimum lot sizes, c) underwriting standards for construction loans developed in sprawl areas and d) commercial tenants who see no reason to limit their parking (another covert subsidy) all conspire to produce the mediocrity that is sprawl. About the topic: redevelopment of suburban densities is possible and viable as long as bicycles are included in the mix. Of course the cycling amenities are about as poorly developed as pedestrian amenities in sprawl, but it’s an important component that should not be overlooked unless we’re willing to write off the sunk costs of suburbia completely. anon 4:29, thanks for your addition. One thing I have noticed is that farmland is sometimes assessed at far below market value under special agricultural rates. This allows developers to land bank with impunity, since they can preserve low tax rates until they file for a rezoning – and even lease the land to real farmers for a profit in the meantime. anon, I think we have a difference on fundamental principles with Germany. In the US, there is a common understanding that people actually own and have full rights to their own land. In other words, your concept is outside the present social and legal framework of the USA, and I suspect the vast majority wouldn’t go there. To your other notion: I think it is entirely possible and plausible that the ratio of people who want to pay more for NU development vs. standard suburban sprawl is currently on the order of 1:1500. See, one of the beauties of capitalism is that if someone sees a significant unmet demand for a specific product, s/he can make a significant profit by meeting the demand. Right now, “old urbanism” meets the need…and there is no more need to tear up green fields for NU development than for standard-issue sprawl. The viability of the inner burbs and the likelihood of successful regeneration as they age, seems to me to be a function of only a few key things – the strength of their associated inner urban core, the ease of access to that inner urban core (relative to the ease of access of the outer burbs), and the draw of the inner burb as a destination unto itself. I will use the examples of Washington DC (the Virginia suburbs, anyway) and Atlanta to illustrate my point. In DC, the older, inner suburbs in Virginia, namely Arlington and Fairfax counties, have seen significant renewal and extended viability because the commute from the newer, outer burbs into Washington has become extreme. Arlington and Fairfax benefit from shorter commutes by car, but also have the Metro light rail/subway lines extended into the area. D.C. itself is still a very strong inner core, because the federal government has not “packed up and moved to the suburbs.” Thus, there is still a very powerful draw to the highly dense employment center that the federal district of D.C. And finally, Fairfax and Arlington, plus the city of Alexandria, are very strong employment centers on their own. So residents of these inner suburban areas have many reasons to prefer renewal/regeneration of the inner burbs over relocation to the ever further outer growth burbs. What’s more, these areas, particularly Fairfax County, have managed to maintain the hallmarks of suburban quality of life, namely top schools, low taxes, and amenities. Atlanta, on the other hand offers some examples to the opposite extreme. Older, inner suburbs like Chamblee, Vinings, Dunwoody, and Sandy Springs, have begun to suffer the hollowing-out “doughnut” effect that you described in your blog post. These areas have been replaced by newer suburbs in Kennessaw, Alpharetta, and even Gainesville that offer ever larger lots and homes with the latest in-home amenities and features. But the lack of a substantial commuter rail system in Atlanta means that the car commute from the newer burbs isn’t all that much worse than that from the older burbs for those people who do commute to the city center. Additionally, the urban core of Atlanta has lost its drawing strength, as many firms have relocated or added jobs in the suburbs from the Perimeter and further out. More and more people are choosing the outer burbs because of the newness factor but also because that’s where many of the good jobs now are. So for older inner-burb places like Sandy Springs, people are commuting to both the core and to the new outer burbs, but there aren’t as many job opportunities within that inner ring of suburbs itself. I can see the Atlanta example happening in Indy moreso than the D.C. example. With the growth of the suburban areas of Carmel, Noblesville, Avon, etc., is also coming job growth and the establishment of these suburbs as potential edge cities in and of themselves. And the disincentives to stay in the older suburbs are increasing – taxes, schools, etc. So areas like Butler-Tarkington, Wayne Township, and even Lawrence will need to figure out what they have to offer to the next generation of potential residents if they hope to avoid becoming a hollowed-out ring between a (hopefully) vibrant inner core and an outer ring of newness. Boofer, thanks for the very thoughtful post. It’s definitely something to consider. We have to be to identify those factors of success or failure in order to figure out how to treat the problems. Thanks for this post. Was there any conversation in the book about neighborhood design? For me, this seems to be a bigger issue than commercial/town square design?. It would seem that we can return to a more “traditional” neighborhood design without haven’t to pursue something that is extremely “urban”. Would Retrofitting Suburban neighborhoods even be possible? When you refer to a neighborhood, do you mean a subdivision? There was much less of that in the book, though some descriptions of apartment complexes and such were in there. The focus was commercial spaces and mixed use development. I had a series of posts in various fora on suburban resilience in the face of Peak Oil … aka Suburban Retrofit until I found I was treading on a term previously taken over for something else. Bruce, thanks for the links. I found the concepts interesting. We definitely need more creative thinking in the space since we are still early in the game. I too particularly reject the notion of “one size fits all”. Cheers. They contrast the signature attributes of urban vs. suburban development (single use vs. multi-use, auto-dependent vs. multi-modal, low density vs. high density, etc.) and basically show projects that all are designed to turn the dials in a more urban way. The point of multi-use and multi-modal development is precisely that it is not "one-size-fits-all".